An excellent addition to any home kitchen, the Primo range of sous vide water baths offer users excellent temperature performance of ±0.2°C (±0.36°F) and a temperature range up to 90°C (194°F) without the high price tag. 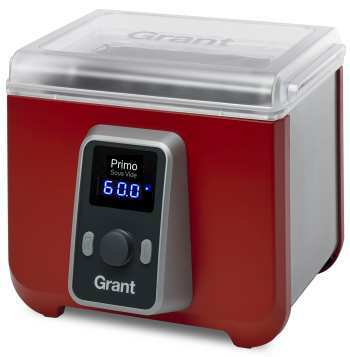 The Primo is easy to use and incorporates a number of in-built safety features including cool touch sides and a built in dry run sensor so the Primo automatically switches off should the water level in the sous vide drop too low. Built in the United Kingdom using high quality materials, the Primo has a 10 litre capacity and comes with a 2 year full product guarantee as standard.